Memorial Day is a special time in the USA when we pause to remember all of those who gave the ultimate sacrifice for our freedom. It’s also the unofficial kick-off for summer and what better way to start your family’s summer than with a weekend at a Florida beach? Florida has some of the best family-friendly beaches in the country and all are perfect for a Memorial Day getaway. Here are three of my family’s favorites. With soft sugary sands, the warm clear waters of the Gulf of Mexico and brilliant sunsets, Fort De Soto Park makes a fantastic beach getaway. The North Beach has a large lagoon that doesn’t get above three feet deep making it the perfect place for children to swim. Bike, skate or jog the 7-mile paved nature trail or kayak through lush mangroves. Keep a look out for pelicans, heron and egrets. Dolphins are often spotted from the Gulf fishing pier and sea turtles nest along the beach in summer. A historic fort built for the Spanish-American War has old cannons and jail cells giving the kids (and you!) plenty to explore. 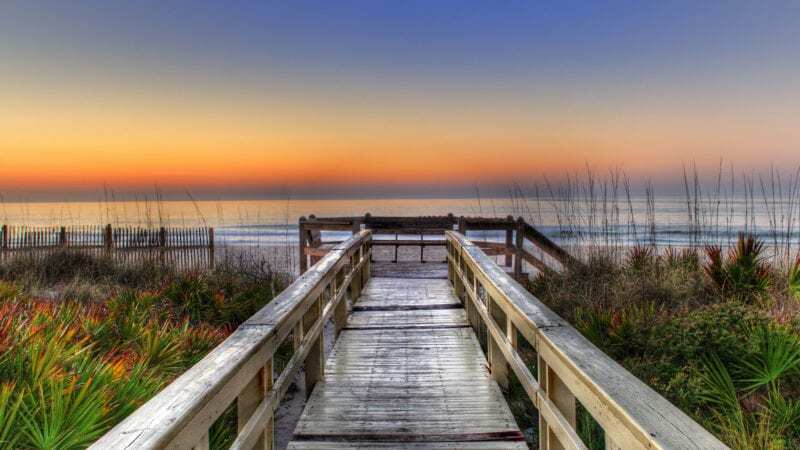 Located on Florida’s east coast, New Smyrna Beach is a friendly beachside community. 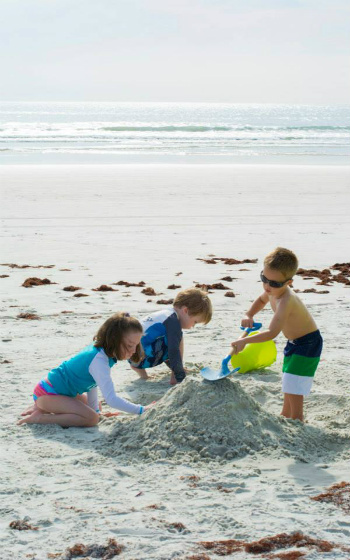 Building sand castles, surfing, kayaking and bicycling on the beach are all popular activities with beach rentals plentiful. Worth exploring is the 73 acre Smyrna Dunes Park where a two mile elevated boardwalk winds through the sand dunes providing a platform for viewing the unique vegetation, marine life, reptiles and animals that live in the park. The park also has picnic areas, pavilions and an observation tower. Nestled in Florida’s panhandle surrounded by the Gulf of Mexico and the Apalachicola Bay, the barrier island of St. George has miles of pristine beaches. If you are looking for uncongested natural beauty, this is your beach. The fishing in the area is unsurpassed with local marinas offering inshore and offshore fishing charters. Excursions to uninhabited islands, dolphin spotting boat trips and snorkel trips are family favorites. What’s your family’s favorite beach? Tell us in the comment section below. We love St. George Island and Mexico Beach! Such fantastic, undeveloped areas. Never crowded, beautiful water, great waves. It makes for a fantastic beach escape.